In most parts of the civilized world, it’s probably unusual to use your four-wheel drive option on the way to the golf course. Of course, this isn’t anywhere in the world. This is Oregon, where there is no off-season on the golf course. No matter what the weather, somewhere, someone in Oregon is playing golf. To emphasize that point, I packed my clubs and headed out on an odyssey to play through what could have been challenging March conditions, but ended up perfectly playable. 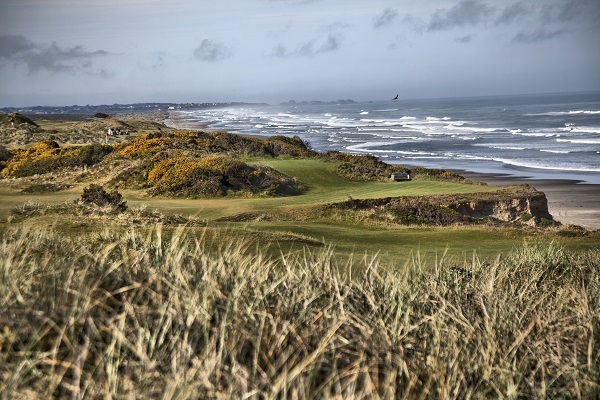 Golf began in Oregon in the seaside town of Gearhart, with the front nine completed in 1892 by Scotsmen who had created, possibly, America’s first links course west of the Mississippi. Subsequent chapters have been written at places such as Eastmoreland Golf Course in the heart of Portland and the exclusive Pumpkin Ridge Golf Club in North Plains with lasting, if contrasting, contributions to Oregon’s golf history. 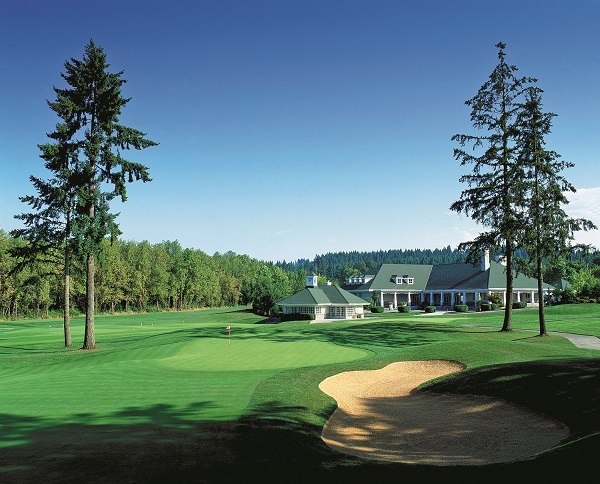 Bordered on one side by a rail yard and the Crystal Springs Rhododendron Garden on the other, Eastmoreland is the state’s oldest municipal golf course and the second-oldest public golf course in Oregon. The parkland-style course was designed by legend and golf Olympian, H. Chandler Egan, who had moved to Medford from Chicago in 1911. Pumpkin Ridge teed off in 1992 to great fanfare and quickly gave rise to stories of golf legends in championship play. While the notion of Oregon as a golf vacation destination is relatively new, the game enjoys a rich history thanks in large part to a few pioneers with strong Midwest and East Coast ties such as Egan, who made his way West as a young man after a meteoric amateur golf career. Egan settled in the Rogue Valley, where he hoped to make his fortune in the orchard business. Egan never got rich as an orchardist, but he left a string of amazing golf courses which he designed in the early twentieth century. 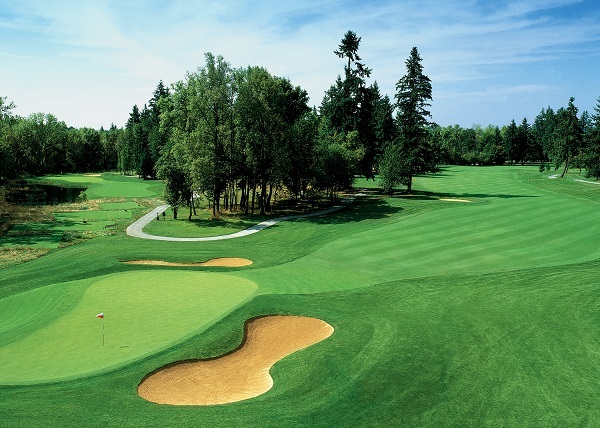 Among those is Eastmoreland Golf Course as well as the Eugene Country Club. 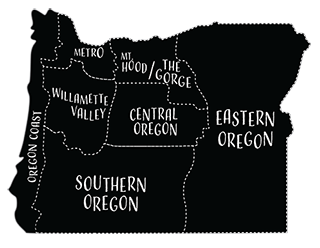 If you want to get at the game’s Oregon origin, however, you must go west to where the land meets the sea in the resort town of Gearhart. There you’ll find the state’s oldest course, Gearhart Links. While details vary, most accounts agree the original Gearhart layout was carved from the coastal dunes by a group of Scottish immigrants who were inspired to recreate a piece of their homeland in a place that closely resembled the Scottish seaside. Over the years, the course has grown to a full eighteen-hole layout with a history colored with a donkey-powered beverage cart and an annual golf tournament costume party. Recently, the course has undergone an impressive restoration with the removal of hundreds of dead and dying shore pine trees last year. The changes, completed during the winter, are now just beginning to take shape, says Jason Bangild, director of golf. “The course has really revealed itself,” says Bangild, who spent early spring traveling around Portland with a presentation that highlights the changes. The goal is to upgrade every aspect of the course without fostering the perception associated with high-end golf. To the contrary, Bangild is bringing back the costume party tourney replete with equine-powered beverage cart. “We found a donkey, and he’s for hire,” says Bangild. 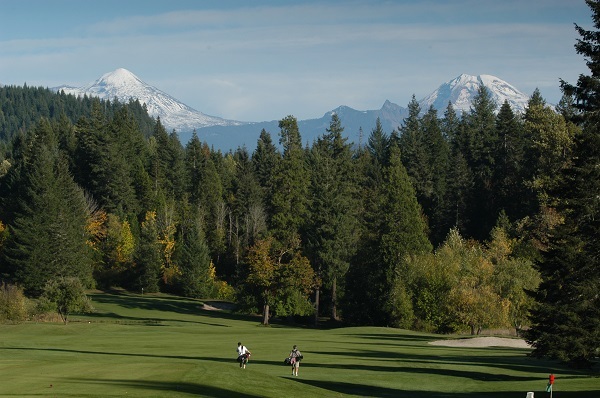 Perhaps there is no better example of Oregon’s trailblazing approach to golf development than Eugene lumberman Nat Giustina’s Tokatee Golf Club. Tucked just out of view from the scenic McKenzie Highway, the course sits on several hundred acres of former timber and ranchland that Giustina selected in the early 1960s for its mountain views and surrounding landscape, according to Giustina’s grandson, Mark Giustina. Legendary architect Ted Robinson laid out the eighteen-hole course that was completed in 1969. In its heyday, the course was considered among the top public courses in the country, perhaps because of its relatively remote location more than fifty miles from Eugene. intangible dose of personal history that comes with a thirty-year relationship with a place. 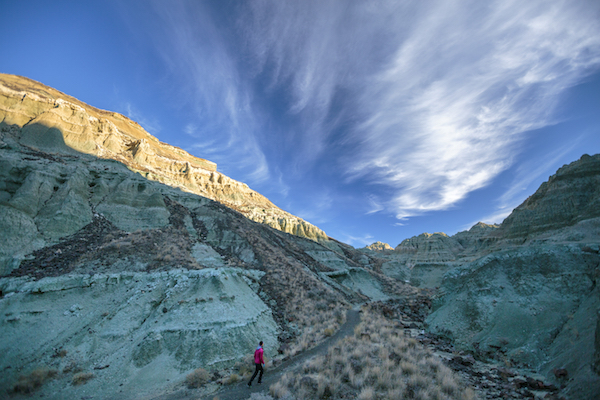 “When I go somewhere, Tokatee is the standard by which I judge other courses,” says Sherry. It’s more than a combination of greens and tee boxes, though. It’s a place that resonates with his soul. Sherry and his closest golfing partner have a birthday tradition of playing one hole for every year of their lives. Sherry doesn’t know how far he’ll get, but when the counting stops, he wants his ashes spread over the sixteenth hole at Tokatee, while his buddies eulogize him by tapping a keg on the green. “I just love the course that much,” he says with a chuckle. With its reputation for drenched and dreary winters, Oregon was historically the kind of place that people left in pursuit of golf in warmer climates. During the past decade, that began to change. 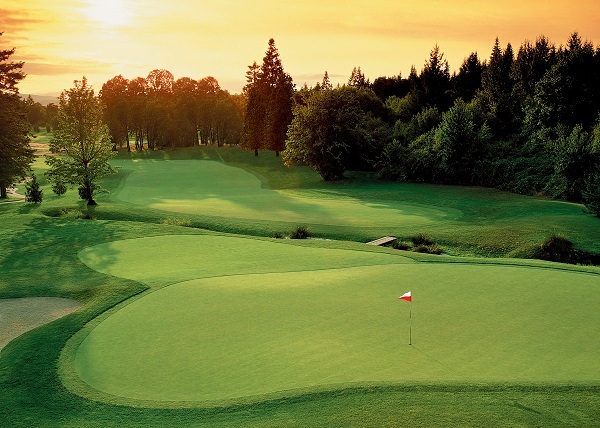 People started coming to rather than leaving Oregon in search of world-class golf. Call it the Bandon Dunes effect. 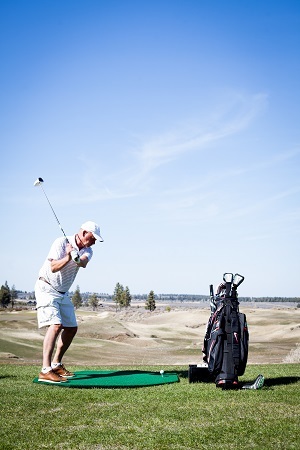 Today, the state has two regions in Bend and Bandon that consistently rank in Golf Digest’s top 25 golf destinations. In the case of Bandon Dunes, visionary founder Mike Keiser sought to create a golf experience that was like no other in America. He built a series of visually stunning golf courses along the southern Oregon Coast that took the resort golf model and turned it on its head. Unlike other destinations, the weather in Bandon is unpredictable and largely inhospitable. A more than four-hour drive from a metropolitan airport, Bandon is remote to say the least. Then there are the courses that look back to the game’s origins on the Scottish coast rather than forward to the next trend in golf course design. The resort’s simple slogan is, “Golf as it was meant to be played.” It’s not an experience for everyone. It’s relatively common to encounter sweater and jacket temperatures in mid-July. And the wind, well it’s always there. For golf addicts, though, this place is a bucket list item. 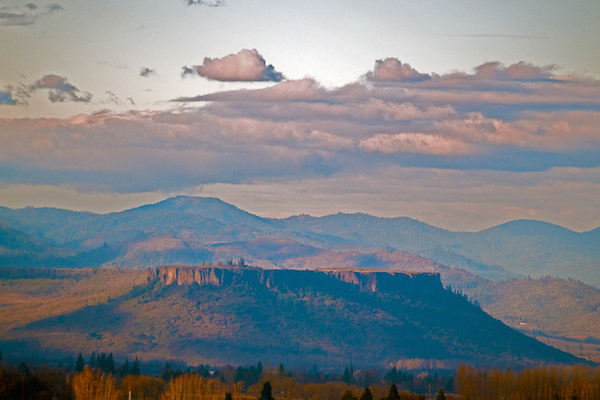 Destination golf in Oregon is more than a coastal anomaly. The Bend area has seen an explosion of world-class golf over the past decade. 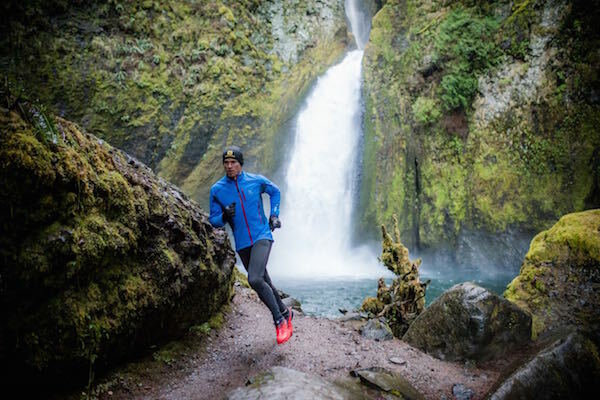 The greater Central Oregon region now has more than thirty courses all within an hour of Bend. Some of the game’s top course designers—including Tom Fazio, Jack Nicklaus and David McLay Kidd—have contributed to the mix. 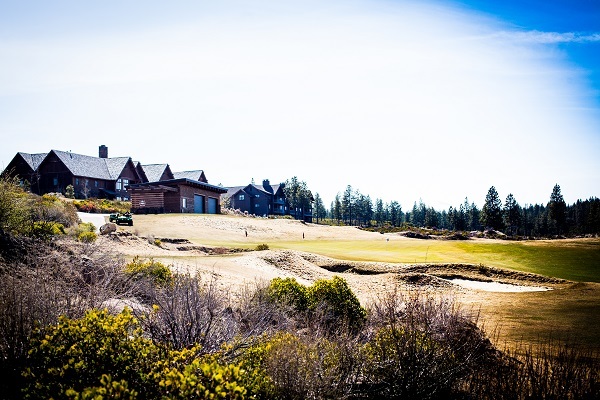 The lure of courses such as Tetherow, Pronghorn, Crosswater and Big Meadow at Black Butte—all within close proximity—is attracting golfers across the West. This is also the reason that Gary Russello has made Central Oregon a repeat destination for his annual “buddy trip.” A retired commercial electrical supplier, Russello and his friends have been flying up from Northern California for the past several years. 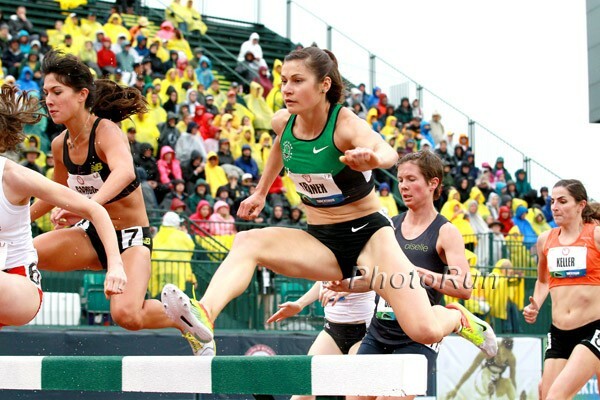 “We like what we like, and Central Oregon is just one of those places for us,” says Russello, who plans to make another trip this summer. Russello, who plays three or four times per week, primarily at his home club in Oakland, says it’s a combination of weather, golf courses and the overall vibe that draws his group back to Central Oregon. The approach from the east is a meandering route through two-lane country roads that bisect small farms and goat ranches. Along the pastoral drive, Portland’s east side emerges. There’s Reed College, then an expansive urban park with gardens that reveals itself to be Eastmoreland Golf Course. Blue skies defy the forecasted afternoon showers and a spring sun filters through the massive fir and cedar trees along Eastmoreland’s fairways. A melting pot of young professionals, middle-aged golfers and retirees trickles in from the parking area, golf clubs slung over shoulders and soft-spiked shoes clicking on asphalt. Ahead is a sprawling two-story Tudor-style clubhouse of stone and timber with a soaring roof line and an elbow in the middle that envelops the driving range and tenth tee box. Inside it’s a dark but lively castle. Seeking company and a sounding board, I pair with Joe Vieira, a 32-year-old car dealership manager who is playing hooky from gutter-cleaning duties at home. With random pairings, you never know what, or who, you’re going to get. Dressed head-to-toe in black golf attire, Vieira is a member at the esteemed Tualatin Country Club, one of the state’s oldest and most revered courses. He’s avoiding his home course at the moment while he recovers from a hand injury, secretly nursing his game back to health in obscurity. After we both duff our tee shots, but hit passable recoveries, we know we’re a good match. Over the next two hours, we talk golf, families and careers, while enjoying a leisurely tour of a golf course that serves as both a neighborhood park and urban wildlife refuge. One of the highlights is watching the Sisyphian efforts of the resident goose control squad, a blue heeler that rockets around the fairways flushing and flustering geese. It amuses the dog and golfers while keeping the goose population restive. Vieira doesn’t bother to keep score. I double bogey on the eighteenth hole to squeeze in a 44. I’m content enough to buy Vieira a beer, which we drink while watching other golfers spray balls off the tenth tee. Vieira, a former college basketball player at Eastern Washington University and amateur boxer, says golf is about the friends, the camaraderie and the courses. There is something else, though. A fierce competitor whose basketball career ended prematurely and who broke his hand three times before giving up boxing, Vieira has found a sport where the greatest opponent is himself. Beyond the malls, the industrial parks and the tech firms of Hillsboro are farms in all directions. The afternoon light is holding when I reach the clubhouse at Pumpkin Ridge. It is set in a rolling woodland a mile north of the highway and secluded enough that the only sound is the caw of blackbirds. Now roughly twenty years old, Pumpkin Ridge is the only course in the Portland metro area, or anywhere outside Bandon or Central Oregon for that matter, to be ranked in Golf Digest’s top 100 courses. It was at this spot on the Witch Hollow course that Tiger Woods won his record-breaking third consecutive U.S. Amateur in 1996. A then 20-year-old Woods, in sweltering heat, staged a dramatic five-shot comeback to beat Steve Scott in a sudden-death playoff. It was, in many ways, Woods’ coming out party. He announced the next day that he was leaving Stanford University and turning pro with a handsome contract from Nike to pursue the dream of beating his idol Jack Nicklaus’ record of eighteen majors. There will be no coming out party for me today, however. Despite hitting the ball consistently at Eastmoreland just a few hours earlier, I’m in for a slog in the fading light. Unlike the urban bustle at Eastmoreland, Pumpkin Ridge on this day is relatively empty, save for a smattering of junior golfers practicing with their high school teams and a few others clanking oversize drivers on the range. balls and gaining strokes, but the sun is still shining. An owl’s muted call greets me at the third green as a deer ambles across the nearby tee box. I sink my only notable putt of the day and press on. I’ve stopped keeping score. Pumpkin Ridge’s Ghost Creek is one of the most beautifully laid out and maintained that I’ve played. My play there is neither beautifully laid out nor well maintained. Retired school teacher Sherry, whom I met just a day earlier at Tokatee, had said that golf is a “moment of sublime perfection,” and the pursuit of it makes so many sour shots fade from our memories. I step to the ninth and final hole and hit a long arcing fade into the fairway. I follow it with a blistered hybrid club that avoids the water hazard on the left side of the fairway. I won’t end up making par or even bogey, but that doesn’t matter. I hit the shot I needed, and I’m ready to go home. Perfection can wait for another day as I’ve only just scratched the surface of the Oregon golf landscape.